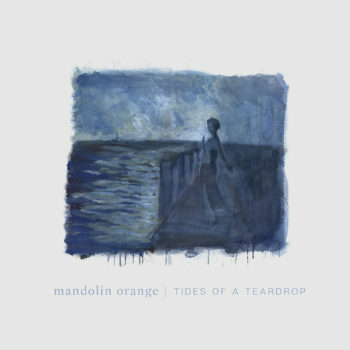 Mandolin Orange — North Carolina-based singer-songwriter Andrew Marlin and multi-instrumentalist Emily Frantz — release Tides Of A Teardrop, their first new music since 2016, on Yep Roc Records — their fourth album for the venerable label — Tides Of A Teardrop finds Mandolin Orange exploring the intimate grief at the frayed edges of their songwriting and confronting loss head-on, facing down the depths of despair and emerging with something renewed and redemptive. It’s a progressive, personal statement from one of roots music’s most thoughtful young groups, on the cusp of yet another prodigious breakthrough. Purchase the record NOW! NPR calls the band “a slow-burning, steadily rising folk duo” that “exudes gentle elegance.” Stream the record HERE. Marlin’s songwriting voice emerges clearer than ever, set in sharp relief by the indelible performances of Mandolin Orange’s longtime touring band: Josh Oliver on keyboards and guitar, Clint Mullican on bass, and Joe Westerlund on drums. Whether it’s the trilling, weighty atmosphere of the allegorical “Wolves” or the Appalachian yearning of the hymn-like “Suspended In Heaven” (written on Mother’s Day), Marlin and Frantz’s vocal and instrumental interplay is as dialed in as ever, the instinctual expression of deeply known but unspoken truths. Mandolin Orange’s last album, 2016’s Blindfaller, is an exceptional outlier in the age of streaming — a quietly reflective, acoustic album that made a lot of noise. Washington DC. A full list of dates below. Order your copy of Tides of a Teardrop HERE!